Washington (AFP) - Ivory trafficking in Africa, which threatens the survival of elephants, is highly concentrated in a few geographic hotspots and controlled by a powerful few, say scientists who use DNA analysis to track the illegal wildlife trade. "What was pretty surprising to all of us," said Samuel Wasser, biology professor at the University of Washington, was "so much of the big trade is focused in one area." Speaking at a panel discussion at the annual meeting of the American Association for the Advancement of Science, he said DNA tracking has shown that a small number of kingpins control much the multibillion dollar illegal trade, and that "these hotspot are very slow to change." Wasser was part of a study published in the journal Science last year that showed for the first time that most of the ivory trade came from two regions of Africa -- either a protected zone that extended from Cameroon to Congo to Gabon or eastern Africa, particularly Tanzania. The most recent analysis on some 200 samples of ivory seized since 2006 shows that traffickers quickly move their take out of the country where the elephants were slaughtered. DNA analysis has shown that the two tusks of an elephant often show up in separate shipments, suggesting the same dealer is behind both. 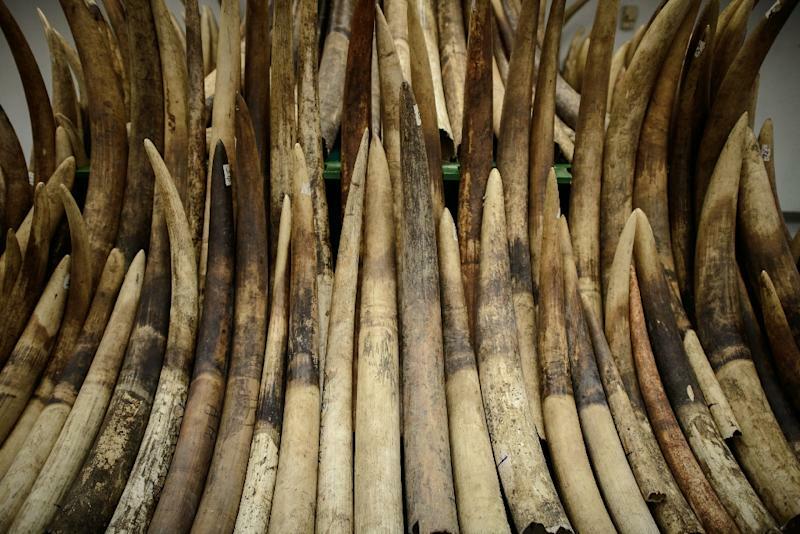 "Probably one or two major dealers... are moving all of this ivory out transit out of Mombasa, which the biggest transit area in Africa right now," said Wasser, referring to Kenya's second largest city. DNA analysis has helped crack down on traffickers, though far more needs to be done to eliminate the sophisticated transnational trade. "Our work has already brought down one of the largest ivory dealers in West Africa and we are now on the trail of probably the largest ivory dealer in Africa," said Wasser. 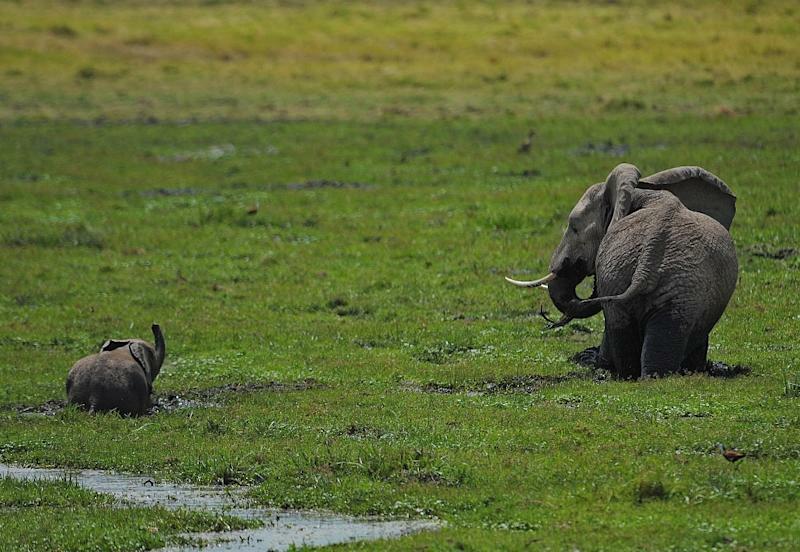 Some 50,000 elephants are poached every year in Africa, leaving some only 450,000 elephants across the continent. Wildlife trafficking is the fourth largest international criminal activity after weapons, drug and human trafficking, experts say. This illegal commerce brings in a staggering 20 billion dollars each year, of which three billion is accounted for by ivory. According to Allan Thornton, president of the Environmental Investigation Agency, even the most advanced forensic techniques have barely made a dent in the illegal trade. "All evidence we have seen is that you cannot manage the ivory trade, it cannot be controlled. It's too powerful, too valuable," he said. "Every effort to try to regulate the trade has been a spectacular failure." The only conservation measure that worked was when international trade in ivory was banned for a period of eight years beginning in 1989, he said. At that time, some 70,000 elephants were killed annually and half the population had been wiped out in the previous decade, going from 1.3 million to 624,000, he told reporters. During the ban, elephants began to rebuild their population in Africa. But he said when the ban was partially lifted in 1997 under pressure from Japan, poaching began again in earnest. A decade later, in 2008, "the endangered species convention (CITES) allowed legal ivory sales from three southern African countries to Japan and China and after that we saw a massive increase in elephant poaching," said Thornton. "But all that time Japan faced very little scrutiny, very little analysis and there has been almost no transparency to that activity." Some, like Wasser, say the solution is to crack down on the biggest traffickers. But William Clark, a retired member of Interpol who worked for many years on illegal ivory trafficking, said Asia need to step up and change. 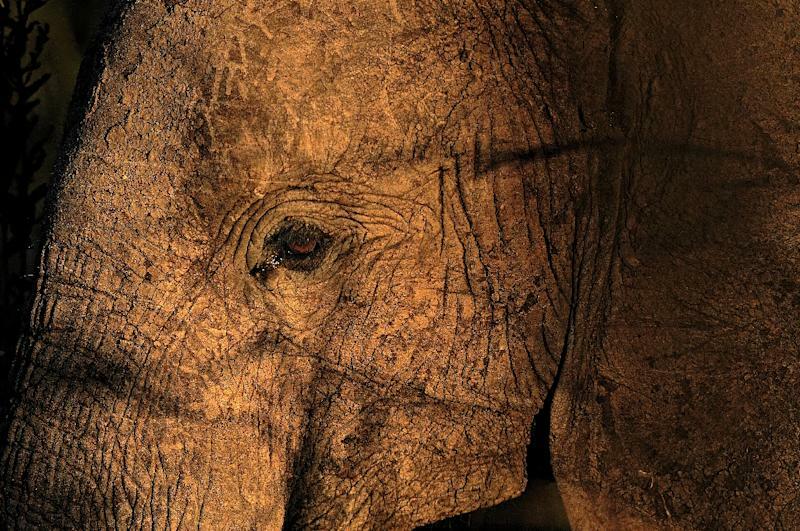 China currently makes up about 70 percent of the world's demand for ivory. "There is not the political will in Asia to use the (DNA) tools to fight the importers," he said. "Asia is not today bearing up to its responsibilities in addressing this problem. The burden is falling on the shoulders of Africans."